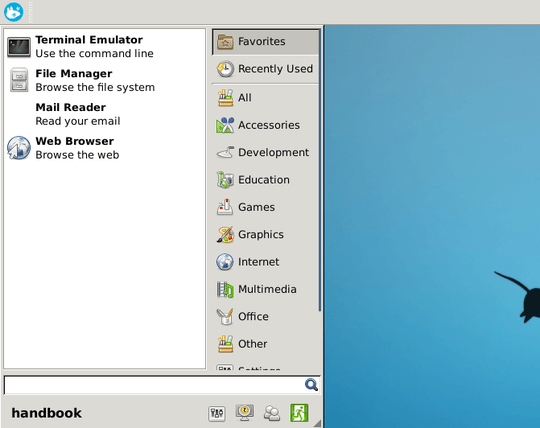 Whisker Menu is an alternate application launcher for Xfce, it gives you a unity/gnome3 style search in xfce4 desktop. As well as that you can browse through all of your installed applications by clicking on the category buttons on the side. The binary packages has been built into developer’s PPA, available for Ubuntu 14.10, Ubuntu 14.04, Ubuntu 12.04 and their derivatives such as Linux Mint 13 and 17. If you don’t like Ubuntu PPAs, grab the .deb package directly from the launchpad page. 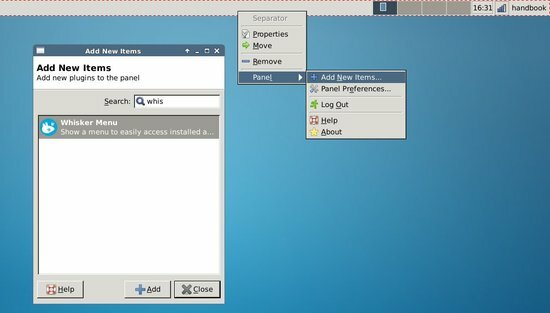 Once installed, add the launcher menu onto panel and move it to the left.